NFL commissioner Roger Goodell can be accused of many things. Caring about the players that are the centerpiece of the league he runs clearly isn’t one of them. We all had a sense of this already, what with his seemingly arbitrary system of fining players and his unbendable demand for an 18-game season, which will only result in less pre-season preparation and more injuries among players. If this week’s NFLPA press conference is any indication, though, Goodell’s feelings toward players goes well beyond mass indifference and has moved deep into the territory of pure, unadulterated hate. That, my friends, is some truly epic contempt. That is a man telling his employees, “You can either submit to the team owners’ demands by March 2, or you can pay for your own damn baby with no paycheck.” Giving birth would cost upwards of $8,000 out of pocket — much more if there are complications. Now, your initial reaction might be, “They’re millionaires. They can afford it.” Well, here’s the thing. The majority of NFL players don’t make 7-figure salaries. The median NFL salary in 2009 was $770,000, and more players than not are generally on the low side of that. 30-40% of that salary gets taxed. 10% more goes to the agents. More still goes the trainers and equipment necessary to maintain an NFL career. So how much of that $770,000 or less is left to pay for the house, the cars, and possibly the kids? Now consider a player making that median salary doing the responsible thing and setting aside 25% of what’s left to live on during the lockout. How quickly does $8,000 cut into that savings? Money goes fast when you’ve got a newborn and no income. Furthermore, Goodell is counting on a large subset of ignorant NFL fans buying into the notion that this is a “millionaires v. billionaires” argument, when in fact, the majority of NFL players are not millionaires and simply want to negotiate a fair deal. Goodell and the owners, however, only want a fair deal for themselves — in the form of $4 billion in guaranteed TV money, which they’ll get with or without a 2011-12 season. What do they care? They aren’t having any babies this year. This sort of thing never happened under Paul Tagliabue. Some would argue that’s because Tagliabue had NFLPA boss Gene Upshaw under his thumb, but it’s clear Tagliabue understood the importance of labor peace. Tagliabue under stood who his customers were — the fans. He actually cared about giving fans a quality product, and they rewarded the NFL’s consistency and quality with their dollars, turning the league into a juggernaut. By contrast, Goodell inherited that juggernaut, and perhaps because of that, he doesn’t see fans as paying customers. He sees them as sheep. They come to games, they bleat, they drink $8 Bud Lights, they buy $100 replica jerseys and $25 hats, and they’ll gladly do it again next week. 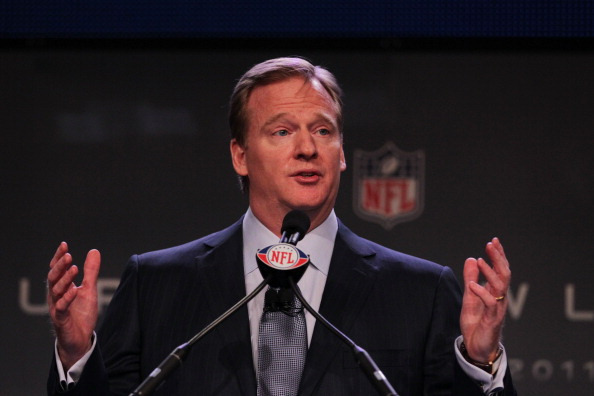 Goodell believes he could shut down the NFL for a whole year, and it won’t matter. They’ll be back in 2012. In fact, they’ll probably blame the union for losing a whole season. Siding with the bourgeois over the proles is all the rage nowadays. You know what? I don’t think I like Roger Goodell’s NFL very much. Maybe I’d be okay if it went away for while. Then again, I’d be much happier if he went away for a while.